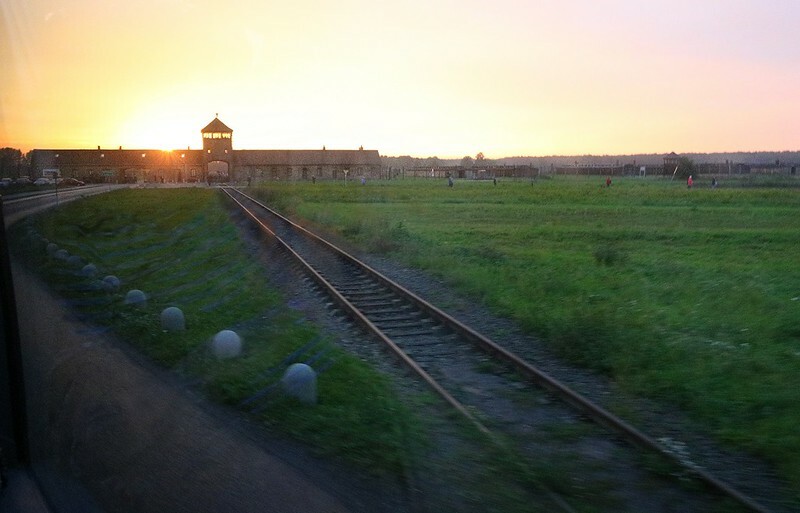 The train tracks into Birkinau Death Camp. Toward the end of the war continuous trains unloaded prisoners at the landings, took all their possessions and marched them directly to the gas chambers. This was a quick photo from the bus at a sharp backward angle without time to aim. As my friend Dave Billingsley observed, it seems fitting that the sun is setting directly over Birkinau, just as it did on the lives of so many here in WWII.